EduTrips are an integral part of our teaching-learning methodology at the school, they are the best way to learn through experience; it goes a long way in strengthening the concepts learnt in the classroom and relating them to the real world. 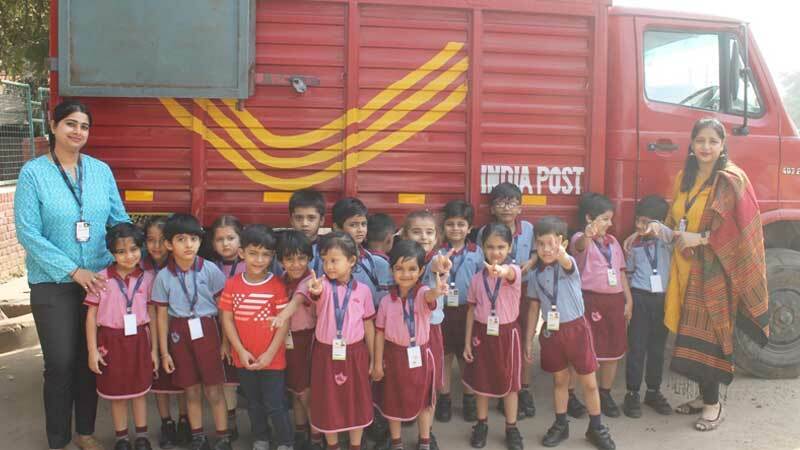 The school planned an EduTrip to the Post Office on the occasion of National Postal Day for the children of Nursery and KG. It was an experience of a kind; the children understood about postcards, inland letters, parcels, speed-post, etc. They also met the postman who showed them how the letters were stamped to validate the pasted stamps and also so that the stamps may not be reused. The children witnessed how letters were segregated for various locations. Children had prepared lovely cards on the occasion of World Card Making Day and they posted those at the Post Office themselves. 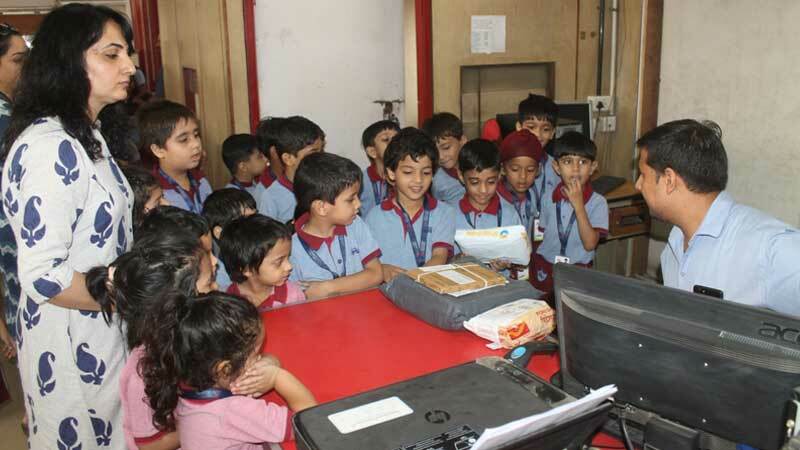 The excitement when the children witness the card made by them being delivered at home by a postal mail will be a memory to cherish.